Is Chief Medical Officer Joy St. John sending the right message to Barbados? 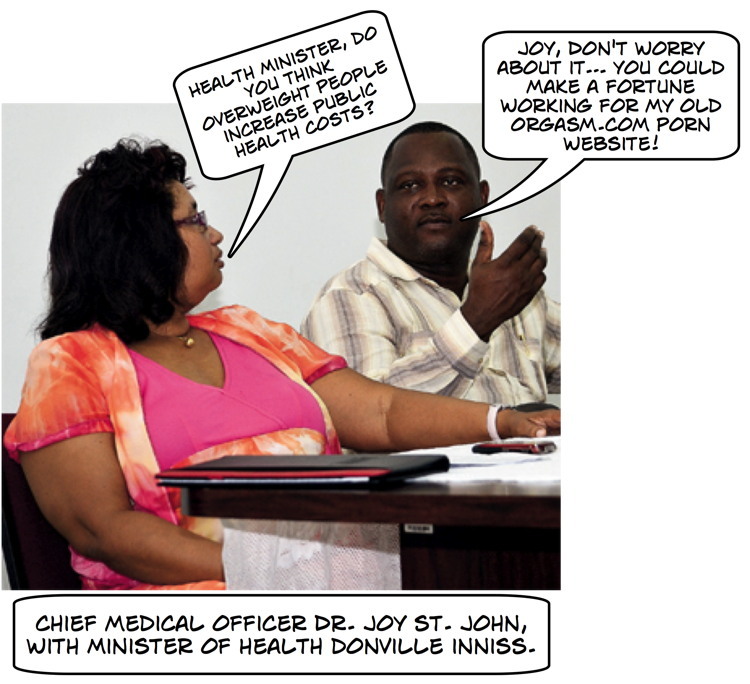 And… is Minister of Health Donville Inniss the right man for the job? * Thanks to a reader for the comic. Thanks to the Barbados Advocate for the photo! Forget all the excuses: somebody has to be in charge of the health system. 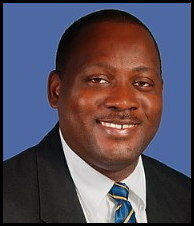 In Barbados that person is Minister of Health Donville Inniss. (photo above) After almost 5 years in power, Inniss and the DLP government own any operational problems. Any management failures are theirs. 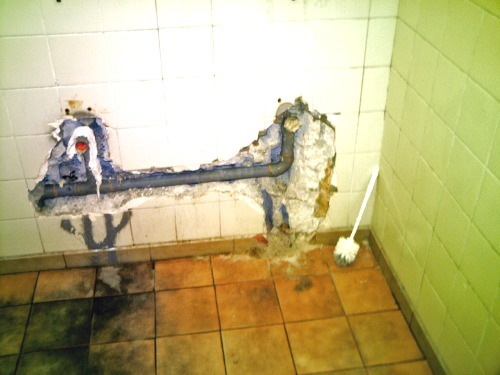 Any failure to budget for sufficient inspections to maintain standards is theirs. “I sat there watching my blood sitting motionless in tubes outside my body and precious time running out. With two minutes to spare before the situation became critical and with the look of panic etched on the nurse’s face, I sent my wife and kids a bb message saying ‘I love U’…. Soca band leader George Jones describes what happened in Barbados Today’s Close Call. Also see Standard Care. Instead, we get a blame the victim speech from the Health Minister. Yes, according to Donville Inniss it’s the victim’s fault for needing dialysis. Anything to deflect the story away from the fact that of the three dialysis clinics in Barbados, two operate without backup generators. Standards? I call that a third world standard. Also during his Barbados Today interview, Minister Inniss started talking about how there was no power failure at the Queen Elizabeth Hospital and the QEH has backup generators. Was Inniss playing stupid to spin the story? He knows that this nearly averted disaster didn’t happen at the QEH: it happened at a private dialysis center that is supposed to be licensed, inspected and adhering to Ministry of Health standards. Yes, patients almost died during a power outage last week because Minister of Health Donville Inniss and his staff failed to do their jobs. The public wouldn’t know about this except that one of the patients was George Jones of the Soca band Square One and he put his harrowing tale up on Facebook. All that talk about making Barbados a destination for health care tourism? Without real actions to set, maintain and enforce standards, it’s all wish talk and nothing else. 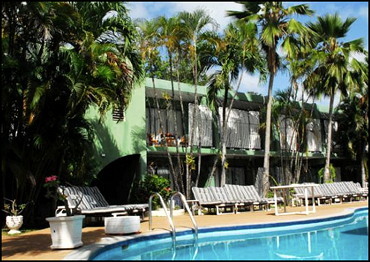 What happens when a tourist has a heart attack at a Barbados hotel? Having a heart attack must be a frightening experience, and it is probably all the more frightening when it happens in a hotel thousands of miles from home and far from friends, family and your own doctor. That’s what recently happened to a Canadian tourist to Barbados, who fortunately had a happy ending to a bad situation. ‘Will-Sandy’ tells of his (her?) experience in several postings on the TripAdvisor Barbados message board where others have been quick to join the discussion and recount their own medical emergency experiences in Barbados and elsewhere. Their extensive discussions make for some interesting reading by tourists and Bajans alike. It is always fascinating to see how others view Barbados. Hopefully the Barbados Tourism Authority and Misery Ministry of Health also pays attention to these discussions. To read Will-Sandy’s account is to be at the same time proud of how the Pirate’s Inn and ambulance staff looked after a guest to our shores, but ashamed of what happened to the tourist after they arrived at our largest medical facility. According to the heart attack victim, the Triage Nurse did not know what a stent was. That simple fact should cause all readers to pause for a second: the Triage Nurse in our largest medical facility didn’t know what a stent was. I know what a stent is and I’m a mechanic, not a medical professional. Question: does the QEH still employ nurses from Nigeria? Just asking! Then the heart attack victim waited 12 hours to see a doctor. There is another statement that should make you pause – a tourist in the middle of having a heart attack had to wait 12 hours before seeing a doctor. That is disgusting, outrageous and completely unacceptable by any standard. But that is what happened to this tourist visiting Barbados, and some of the other medical emergency stories on the TripAdvisor website tell similar tales of experiences in Barbados. The Barbados brand and tourism-based economy cannot thrive and survive when such stories become commonplace on the internet. No longer can Barbados insure our brand reputation simply by inviting a bunch of journalists for freebie trips every winter. We must walk the walk and upgrade the tourism experience because increasingly travelers are able to use the internet to discover the differences between hype and reality when they are choosing their next vacation destination. There are two stories in Barbados Today that should be required reading for every business person, landlord, tourism worker, shop clerk or shopper who has ever had trouble from the mentally ill vagrants who prowl the city looking for their next victim. The stories should be required reading anytime you smell urine in the air while walking past the War Memorial or find human waste on the beach. The Psychiatric Hospital announced they are cutting 230 beds over the next ten years and they intend to do this by implementing the same Community based care model that has proven to be a disaster throughout major cities in the UK and America. People who used to be looked after and did moderately well with daily care at hospital residences now populate the ranks of the “homeless” throughout the UK and the USA. These poor souls used to have health care, hygiene facilities, nutritional standards and behaviour monitoring with professionals ready to intervene. Now they sleep under bridges and in parks: malnourished, without medication, filthy, lonely and socially outcast. Their mental health always slides on the outside. Always. That is the outcome for the vast majority of “former” psychiatric patients tossed out on the street due to budget cuts. That is the history of “community based” mental health care. The fallacy is that you can cut the budget for looking after psychiatric wrecks by shoving them into the community and providing them with “community support”. This word “support” is never defined by minimum standards of care, budget or monitoring to ensure patient and community safety. This “community support” is a vapourish term that means anything people want it to mean at any time. “Community Support” always ends up meaning that people who need serious attention now live next door to you and your children. It means that patients who can barely make it through the day in a professionally staffed hospital residence are now on their own. Model patients in hospital residences can become dangerous when the system tosses them onto the street. Read the big city papers anywhere in the USA or the UK and you’ll see the same story over and over again: After an incident where the patient or an innocent victim is hurt, authorities talk about how well the patient was doing and how this incident is an anomaly in an otherwise effective programme of Community-based care etc etc etc. Health Minister Donville Inniss and the other proponents of Community based care for psychiatric patients never talk about increased costs that happens in other areas when the health system unloads its burdens upon the community. They never talk about the increased costs for policing and ambulance services. They never talk about increased crime and violence in the community. They never talk about the deterioration in the quality of life for ordinary people and about mothers who don’t let their children play in front of the house anymore unless someone is right there all the time. Community based care proponents never talk about what happens when two or three borderline patients move into a neighbourhood and disrupt the lives of hundreds of people every day. Read the two Barbados Today stories and know that this is all budget driven by the government: not driven by the health care professionals who are trying to cope with the budget reductions and know how this will turn out. Remember my words: Community based care for mental patients is a fallacy that always turns out badly. Always.